What is MixCast? MixCast is a powerful tool to create images and video of VR users inside VR applications.  What does MixCast do? MixCast combines a PC VR system with a standard camera to generate an output of the VR User’s actions in real life in the virtual scene they are experiencing. Why use MixCast? MixCast is going to revolutionize the world’s view of Virtual Reality – literally! The output created with MixCast is extremely intuitive and engaging for audiences on 2D screens and will convince the world of the power of virtual reality. The two basic elements of creating content that captures a VR user in a virtual scene are Background Removal and Spatial Alignment – and we’ve made both incredibly easy and user friendly! Background Removal – MixCast supports both the industry standard background removal method of Chromakeying or ‘Green-screening’, as well as a more accessible green-screen-less technique we call Static Subtraction. Spatial Alignment – MixCast uses a powerful algorithm to determine the positioning of the real relative to virtual objects. So, by aligning the virtual and physical cameras, virtual objects that the VR user holds in virtual reality will be shown in the correct position relative to the user, and the user themselves will be located in the right part of the virtual scene. Bonus features – Moving Cameras! MixCast can also be set up so that you can attach camera to a tracked VR device so that MixCast can maintain spatial alignment even when a cameraman is moving the camera to get different angles on the action and get an even better shot! And of course, a copy of MixCast! MixCast is set up in the MixCast Studio application, half in the real world and half in the virtual world with the VR headset on! At the computer, the user can select which camera and background removal technique to use. Then with the VR headset on, the user runs Quick-Setup to easily go through Spatial Alignment – all of this is made incredibly simple and intuitive with an In-VR MixCast display. Check out our full first-time setup guide on our wiki here! Once you’ve set up MixCast, there are many MixCast-ready applications that have the MixCast SDK, and MixCast Capture allows users to use MixCast Capture with an OpenVR title with basic mixed reality support. Naturally, applications with the MixCast SDK provide users with a more fulsome access to MixCast’s capabilities as well as a number of handy tools for developers, but MixCast Capture does offer the full range of background removal options, simple calibration, and In-VR display so the world can better understand the impact of virtual reality.